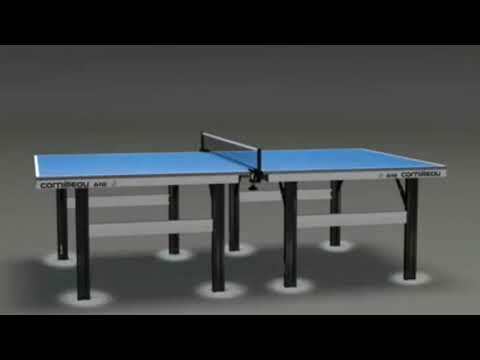 The Cornilleau Pro 610 is an ITTF approved Competition table. It offers an excellent level of play and is very robust. It can be folded for compact storage and has two hidden wheels on the underside of each table half. The benefits of this style of table are that it arrives pre-assembled, is very strong and takes up minimal storage space. However it is more awkward to fold and manoeuvre than a rollaway table. The net & post set is supplied as part of the package by Cornilleau. Some retailers claim they themselves are giving this as a 'free of charge' accessory! Storage size: 139cm high x 152.5cm wide x 14.4cm deep. This table is stored as 2 separate halves. The depth is measured as the total depth of both halves together.